Not even a recent National Magazine Award nomination could save the publication. 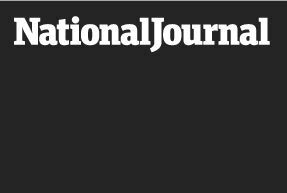 Atlantic Media chairman and National Journal owner David Bradley announced today that the organization will cease print publication of the 46-year-old National Journal Magazine by the end of the year. Layoffs of magazine staff are expected following the end of the print run. I believe I failed. When I first entered publishing, Don Graham taught me his motto: “Eyes on, hands off.” A few years back… distracted from National Journal’s work, I took both my eyes and hands off the task. In the long run, I don’t think a weekly print magazine can thrive. Still, had I not failed for a time in my role, I think National Journal might have prospered longer. According to the memo, National Journal itself is doing just fine, bolstered, to an increasing extent, by its paid membership program. Launched in 2011, the program now produces more than half of NJ’s total revenue. In the one year we allowed Richard, before today’s decision, he redesigned the magazine, recruited some of the nation’s top long-form writers and earned the National Journal its first National Magazine Award nomination in a decade.